It is an established fact that music therapy or healing music if based on raaga(Indian Music Scales) has a magical effect on the person who is listening or singing and it works on the chakra system. The word raga in Sanskrit means ‘to please’. A raagas are the melodic modes used in Indian Classical Music and one of the ancient instrument that accompanies a Indian Classical Music is Tanpura or Tambura. The Instrument is tuned to singer’s pitch and helps the musician to stay in Pitch which is of fundamental importance. In simple words Pitch is called Sruti/Sur or Swar. A thoroughly tuned Tanpura is a way to heaven- the heaven inside ourselves as it helps to find the pitch, the frequency. Tanpura is a string instrument which is used in practice as well as performance in Indian Classical Music. Just like Sitar there are 4 or 5 strings of which three are tuned to the basic note Sa and the last string is usually tuned to Pa, Ma or Ni. The tuning is done on the middle octave of any scale. Rarely 6 metal strings Tanpura is also available. The word Tanpura is derived from tana referring to musical phrase and pura means complete. Some musicians call it Tambura. Tanpuri is a smaller version being used for accompanying instrumental sololists. According to shape, size, character and basic tuning there are 3 types of Tanpura namely Instrumental Tanpura, Female Tanpura and Male Tanpura. 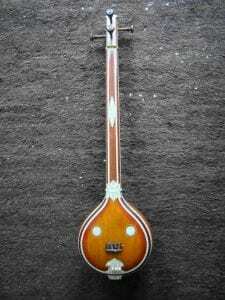 The length of Instrumental Tanpuras is between 95 to 115 cm and used in Indian Music at Sarod or Sitar concerts. It is also called Tamburi. The length of Female Tanpuras are between 120 to 130 cm and traditionally used for accompanying female singers. Male Tanpuras are the longest with length between 140 to 150 cm which is more voluminous. This allows a lower tuning around C. It is especially suited for accompanying male singers. How does Tanpura/Tambura tuned to Raaga work on the Chakra System? Raaga helps to tune the chakra in its optimum spin and balance, ensuring a balanced energy supply to different organs of body that are connected to the specific chakra. Our body has 7 chakras each with its own sound frequency. Everything around us is energy and vibration. Even each one of us has certain vibrations, we may call it ‘vibe’ sometime. 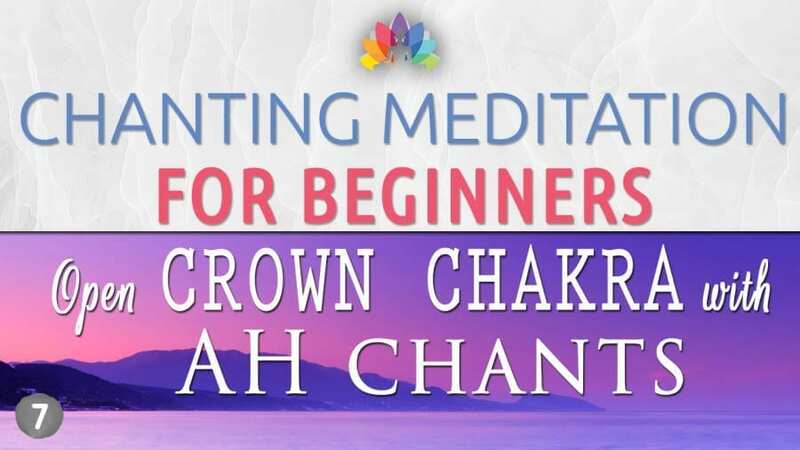 What is interesting is that each of our chakras has a specific vibration as well – and you can use Tanpura/Tambura tuned to Raaga with each chakra, with the purposes of tuning, opening and harmonizing that chakra. This is the primary chakra, the fundamental chakra which needs to be balanced first, before moving to any other chakra. Raga Shyam Kalyan helps to activate Root Chakra. It allows the Kundalini rise gently, easily and naturally .The Root chakra vibrates to the concert Key of C. While meditating chant ‘LAM’ which can increase the effectiveness multiple times. The colour associated with this Chakra is Red and located on the base of spine. It governs our physical energies and gives us survival instincts. The seed mantra of Sacral Chakra is ‘VAM’ which if listened or sung in Raga Yaman can be of immense help in stabilizing this chakra. Sacral chakra vibrates to the concert key of D. The Raaga has a power to stabilize the wandering attention which is very important for the meditation. The color associated with this Chakra is Orange and is about feeling and sexuality. It is located on the lower abdomen, about one to two inches below the naval. The Sacral Chakra is about feeling and sexuality. The organs of activity are the sexual organ, kidney and entire urinary system. The seed mantra of Solar Plexus Chakra is “RAM’. The Solar Plexus chakra vibrates to the Key E and is associated with color Yellow. It is located at the naval. When the Chakra is activated, it brings a change in attitude and inner transformation. Raga Bhimpalasi helps activate the Solar Plexus chakra and stimulates energy, willpower, change in attitude and improves digestive system . It helps in giving up vices and impulsive habits. Chakra when not activated leads to poor digestive system, pancreas, liver and kidney problems. The seed mantra of Heart Chakra is ‘YAM’ and is associated with the color Green. The Chakra is responsible for love, relationship and self-acceptance. The Heart vibrates to the key of F. Both Ragas Bhairav and Durga help in balancing the Heart Chakra through meditation. When Kundalini touches the heart chakra, the person experiences spiritual powers. The Raga itself helps in boosting self-confidence. When frequency resonates with vibrational frequency of the Heart Chakra as its root note, it helps in activating the Heart Chakra. If Heart Chakra is not activated or blocked, you sabotage your relationship with distrust and anger. You struggle with commitment and experience frequent fights or misunderstanding with your loved ones. You find it difficult to move on emotionally difficult situations. Once Heart Chakra is opened, it is one of the most powerful energy centres in our body. 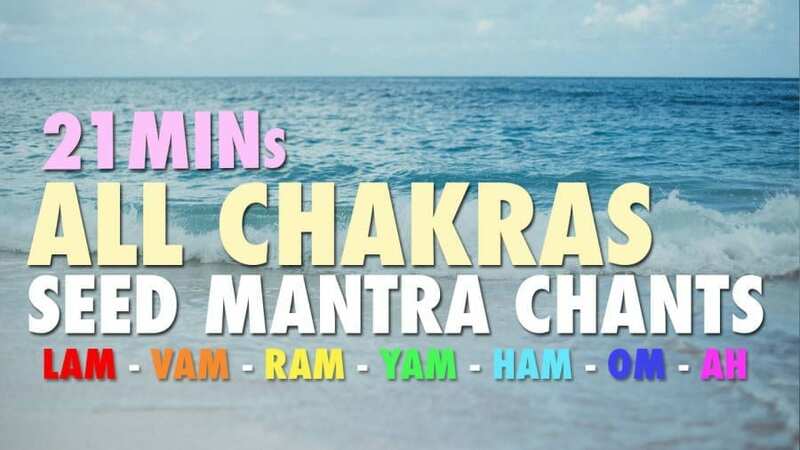 The seed mantra of Throat Chakra is ‘HAM’. 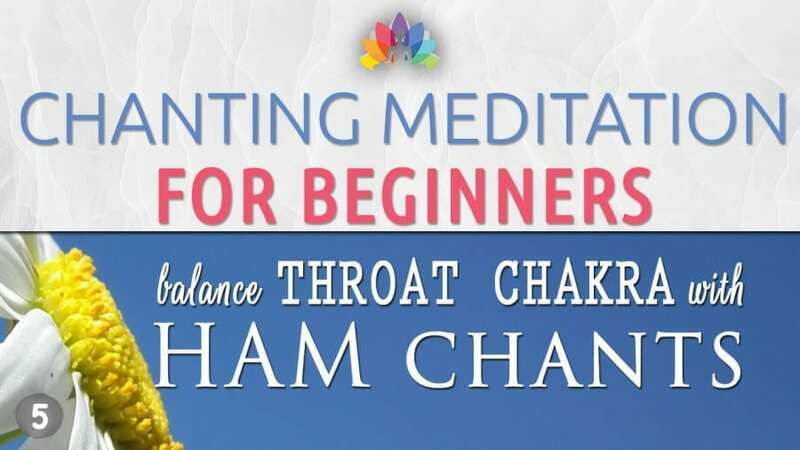 Chanting ‘HAM” in Raga Des/Jaijaiwanti help in activating the Throat Chakra. It is associated with creative expression , self-expression and communication. The Throat vibrates to the key of G and color is Blue. The imbalance in throat chakra makes the person arrogant, timid and fearful. Imbalanced Throat Chakra creates tonsillitis, soar throat, throat lump, thyroid problem, pain in neck and shoulders. Third Eye Chakra is the 6th Chakra and is responsible to what we refer to as ‘the sixth sense’. The seed mantra of Third Eye Chakra is ‘OM’. Chanting ‘OM’ in Raga Bhupali helps open the Third Eye Chakra. Mood created by this Raga helps the Kundalini pass through the ajna and enter the apex chakra Sahasrara in the limbic area. This Chakra vibrates to the key of A and associated with color Indigo. When we live with a balanced Third Eye Chakra, we experience overall good health, clear thinking and focus. A healthy third eye chakra will encourage intuition, empathy of others and build trust in oneself. It also grants us our sense of observation. It is located at the centre of the forehead between two eyes. When the Chakra is imbalanced we experience fatigue, day dreaming, sleep problems, lack of assertiveness and inability to listen to others. Crown Chakra is a bridge to cosmos. The Crown Chakra is a door to universal energy and conscience; through which you can reach a higher state of awareness. Ragas Darbari and Bhairavi are helpful in activating our Crown Chakra. When Crown Chakra is activated one feels joyous, energetic, peaceful and relieved of tension. The Crown Chakra is the centre of happiness and positivity. When the Kundalini energy reaches this chakra,it soothes and nourishes the Chakra and the brain. The Crown chakra vibrates to the key of B and is associated with colour Violet. It is located on the top of the head and is the connection of the Source.